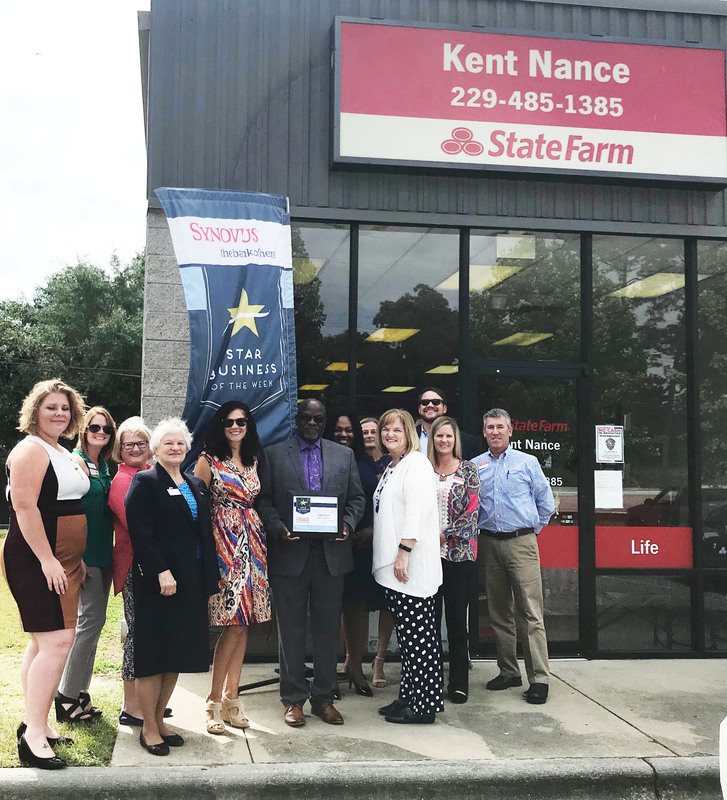 Congratulations to Albany Area Chamber of Commerce Star Business of the Week, State Farm Agent Kent Nance! Kent has been serving the Albany area for three years, offering car, life, business and health insurance coverage along with bank services and retirement planning. Customer service is top priority for this State Farm office, as evidenced by interaction with clients to create a unique and rewarding experience. Call State Farm Agent Kent Nance at 229-485-1385 to ask how he can meet your insurance needs! This entry was posted in Star Business of the Week on July 9, 2018 by Mandy Kavanaugh.